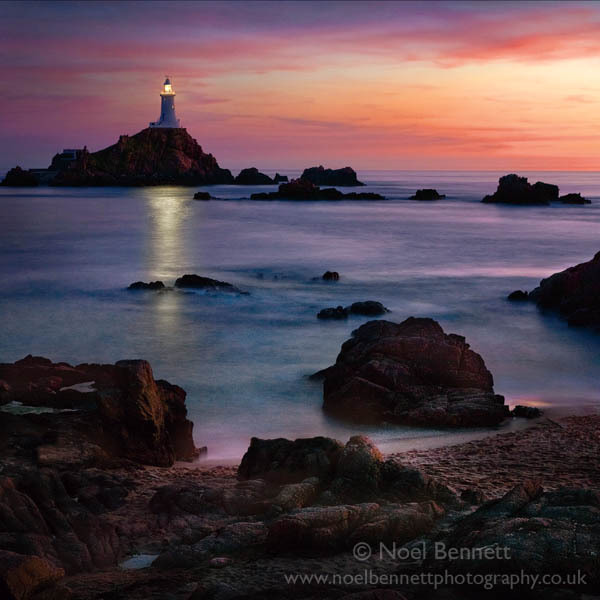 Fading Light Over La Corbiere Point. My wife and i raced around the coast to get here just at the right time. Most people had taken their snaps and were heading home. I hoped by shooting after the strength of the sun had faded, I would be able to work the illumination from the lighthouse. I knew that the sky would still come through with a long exposure. 9.25pm.